Our family’s first trip to Disney World was very spur of the moment. My parents invited us to go with them, and the trip was in less than six weeks! We really had no complaints, and I loved NOT having a big, bulky double stroller. But it we hadn’t been so rushed, we would have probably explored more options and possibly made a few different decisions. So for those of you who DO have more time to plan your first Disney World trip with toddlers, here’s everything you need to know about strollers. 1 Do I Need a Stroller at Disney World? 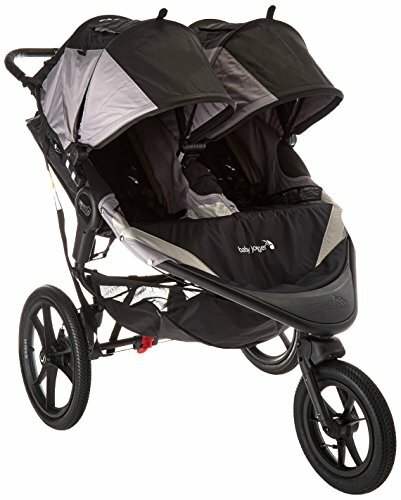 2 What about a Stroller for my 6 year old and 8 year old? 5 Can You Take Strollers on Disney Buses? 7 Stroller Options: To Rent or To Buy? 8.1 How Much Does it Cost to Rent a Stroller at Disney? 8.2 Is there a Weight Limit for the Disney Strollers? 8.3 What Do Disney World Strollers Look Like? Do I Need a Stroller at Disney World? Because you go any further, let’s find out if you even need to be reading this article. Is a stroller even necessary? I would argue that is it, if you have multiple children that are toddlers or preschoolers, and definitely if you have more than one of them, like we did on our first trip. 1) If you’re like the average Disney guest, your family will be walking close to ten miles a day. 2) Not only that, but it’s likely that you will be walking in 90 degree heat. 3) Your child can take a nap without having to go back to the hotel room. 4) You can use the stroller to store things like food, water bottles, and backpacks. 5) A stroller can keep a toddler safer in a huge crowd, especially in situations like when the fireworks show has just ended and literally tens of thousands of people are swarming toward the park exit at the same time. What about a Stroller for my 6 year old and 8 year old? So at what age do kids stop “needing” a stroller at Disney World? Well, like most situations where people can anonymously and publicly criticize someone else’s parenting skills, this can be a topic of hot debate. Since you asked — I think a 6 and 8 year old in a stroller is ridiculous (absent special needs, of course). I get it, it is easier FOR THE PARENTS to have two kids in a stroller. But, you aren’t doing your child any favors by permitting this — especially at 6 or 8. I would like someone to explain to me why kids now NEED a stroller when they never used to? Seriously why in the last 5 yrs have 6-8 yr olds suddenly needed strollers? 10 yrs ago a few more 5 yr olds still very few older kids; 5 yrs ago strollers everywhere with old kids! why? Magic Kingdom is still the same size mostly, EPCOT same size as when it opened, Studios same size, AK same size. It isn’t physical kids have been walking long distances for hundreds of years. I have really wondered this and can’t come up with a legitimate reason why kids in the last less than 10 years now need strollers when they didn’t in the past. Disney has had all 4 parks for better than 10 yrs so it isn’t just an additional park. I honestly would like to understand this because Disney was so much nicer without the massive amount of strollers. One of my happiest Disney days ever was the first day in the park without a stroller. I always found that the stroller slowed us down. I thought it was a pain to not only find the stroller after each attraction but strap her in and out. I loved the freedom that not having the stroller allowed. Personally, I was glad to be done with the stroller. My kids graduated from using one before they started school. I hated pushing one thru the crowds.. Dealing with people who would walk with a cigarette dangling right at the height of a child’s face when seated. Having people cut in front of you and having to stop quickly to avoid running them over. I was usually the one who was tired and complaining at the end of the day because MY feet hurt. *I* was tired. And it frustrated me to no end that my stroller was never where I left it when I came out of an attraction. Waking a sleeping child in order to return the stroller or fold it up and get it on the bus? No thank you! Struggling to get the thing on the bus? Not a picnic in the park! So what’s my personal take on all this? Absolutely a stroller until age 5. Older than 6 — nope. 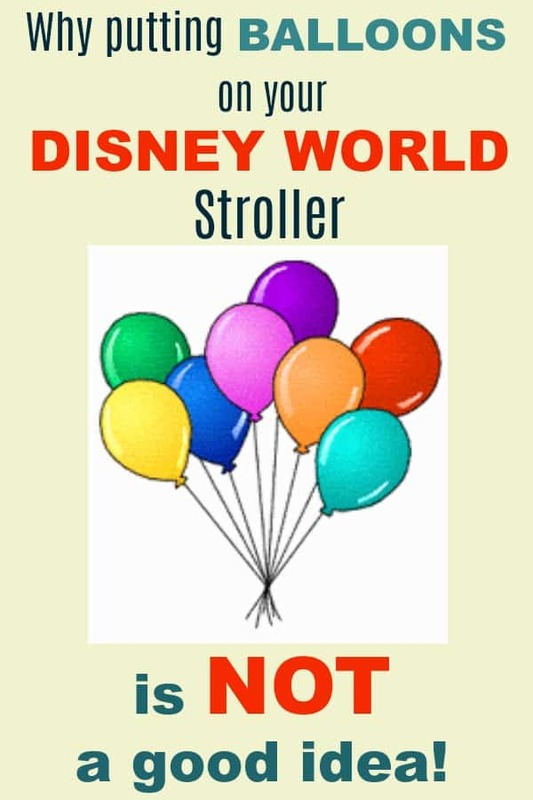 Since you’re still with me, you’re probably at least considering bringing a stroller to Disney World, so let’s talk about what is and isn’t allowed. There aren’t a whole lot of rules involving strollers. They can’t be any larger than 36″ x 52″ (92 x 132 cm), although I’ve never seen Cast Member measure them, and I’ve never heard of someone being told that their stroller was too big. Wagons, scooters, and trailer-like objects that are pushed are towed by a stroller are not allowed. 1. Practice folding up your stroller before you enter the park. I remember a scene in a Jennifer Weiner novel where the main character is “stroller-jacked” at gunpoint, and the thief has to ask her for help figuring out how to fold up the high-end stroller. Yeah, those babies can be pretty tough to figure out, especially if you’re mechanically challenged like I am. Since you’re going to be going it several times throughout the day, you’d better get good at it beforehand. You don’t want to be struggling with your Monstrosity on Wheels when your Tier 1 Fast Pass is about to expire and/or when all the exhausted guests on an overcrowded bus are giving you the Evil Eye. 2. Park your stroller in designated spaces, and not “wherever it’s convenient.” If you can’t find one nearby, feel free to ask a Cast Member for assistance. 3. Do not let your 8 year old push his 3 year old brother around in the stroller (now matter how cute you think it looks). 4. Please obey the speed limit. And — as much as you can when you’re walking through a Disney crowd — try to keep some space between you and the person in front of you. I’ve heard people complain that half their Disney trip was ruined because Stroller People kept clipping their ankles. Can You Take Strollers on Disney Buses? Yes, but it MUST be folded. stroller that goes on a bus MUST be folded. So if you plan to be riding the buses several times throughout your stay, give this some thought when choosing your stroller. How easy is it to fold up, and how difficult will it be to haul up and down the bus steps? The key to not making this stroller-and-bus combo miserable (for both yourself and others) is to be prepared and have a battle plan. Assuming their are two adults in your party, have one always be in charge of the stroller while the other manages the kids. One parent is in charge of the kids, one the stroller and backpack. Use time waiting for the bus to repack the back pack, get the kids out of the stroller and fold it. Nothing annoys people more than you blocking the way onto the bus because you spent your time waiting doing nothing and now you have to pack 5 bags worth of stuff and wake up a kid and fold a stroller etc etc. You will get separated on the bus. Assume this. The person with the kids finds seats. The person with the stroller heads to the back. Do not stop at the first seats you find and then have the stroller person stand in front of you or sit with you (unless you get a unicorn empty bus). This will impede the loading of the bus and will not make you popular. Although some people think that taking a double stroller on the bus is so unpleasant that it’s worth driving to the parks instead — even if it means having to rent a car. Taking the double stroller (while helping your kids) on the bus is a huge pain, since you’ll probably be traveling at times when the buses are over-full. Lots of people do it – you might get 4 other double strollers on your MK morning bus – but it was usually the worst part of my day, especially when we were one of the first to board a bus, so I had to lug it all the way to the back. Much better to drive to Epcot, HS, AK, and anywhere offsite. To make things worse, a Disney Cast Member might have moved your stroller while you and your family were riding Dumbo — not for kicks, but because their job is to make room for more strollers and to properly park the ones that were not properly parked. So you want a way for your stroller to stand out, preferably from a distance. The problem/challenge, of course, is that everyone else is also trying to make their stroller stand out. At first, the idea of attaching a Mickey head balloon to your stroller sounds like a great idea, right? They’re cute! They’re colorful! You can see them easily! However, there are certain problems with balloons that may want you to re-think that idea (not the least of which are that balloons aren’t even allowed in the Animal Kingdom park). I have noticed over the years that many people attach a balloon, and we tried this the first time we went with a stroller. 3) It came off and floated away, causing a melt down for DD who was 18 months at the time. Do not. I repeat do NOT try to use a balloon unless you want to be smashed in the face and bonk every stranger in the face along the way as the wind constantly changes. We didn’t even do this for ID, just because my kid had to have a $12 red Mickey balloon. Just…no. Tying a bandana (or two) with an unusual color or design will make it easier for you to spot and will make it less likely that someone else will take your stroller by mistake. It’s also not obtrusive, so it won’t bother you or anybody else, and it won’t cause any extra problems when you’re getting the stroller on and off Disney transportation. When my girls were little, we got some cute “bendy flowers” with smiley faces on them from The Dollar Store we tied to their crib rails. It never would have occurred to me to tie them to our stroller when we went to Disney World … but what a great idea! Almost nobody else is going to do that, and since it’s “bendy,” you can push it down whenever you need to so folding up your stroller quickly won’t cause a problem. Created for identifying luggage, these Ponchies are made of a stretchy fabric and an elastic band with a button closure. They’re also just kinda fun-looking. You can use it as a cute keychain between Disney trips. Something quick, cheap, and effective is to just stick a bunch of colorful rubber bands on the stroller handles. Along the same line, you can wrap colored tape around the handles. It’s not exactly “pretty” or “cute,” but it gets the job done. Stroller Options: To Rent or To Buy? 3) Bring your own stroller. How Much Does it Cost to Rent a Stroller at Disney? That’s kinda pricey, in my opinion, considering you have nothing to show for it at the end of the week. Is there a Weight Limit for the Disney Strollers? Single Strollers are recommended for children 50 pounds or less. Double strollers are recommended for children 100 pounds or less. What Do Disney World Strollers Look Like? Kind of, um … well, not that great, actually. 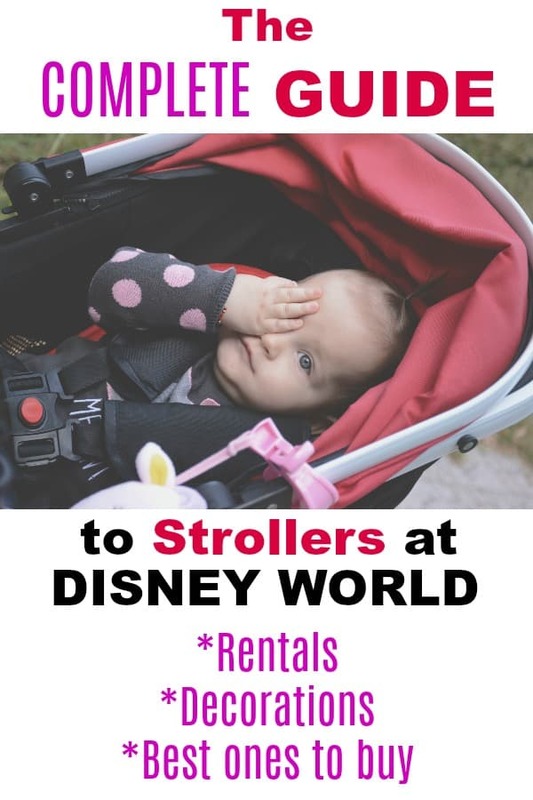 I was totally turned off when I saw the Disney World rental strollers on our first trip with kids. They looked ugly, cumbersome, hot, and generally uncomfortable. If I were a kid, I wouldn’t want to ride (or nap) in one, and as a parent, I wouldn’t want to navigate one through crowds of people all day long. Not only are the Disney strollers made of hard plastic, with no padding or cushioning of any kind, but they don’t recline. That means your two year old can’t even take a nap in them. And putting, say, your six month old in one is out of the question. It’s also worth noting that the double strollers have no physical barrier. In other words, instead of there being two seats, it’s one big seat. If you have more than one child, I don’t have to explain what this inevitably translates into. And to top it all off, the Disney strollers don’t offer much in the way of storage space. Obviously I’m very biased against renting a Disney stroller, but of course there are advantages, the biggest one being that it never leaves the park, so you don’t have to worry about hauling it onto the bus (or for that matter, getting it to and from Florida in the first place). Of course, this works both ways. Using a stroller that can’t leave the park means that … you don’t have a stroller when you’re not at the park (or Disney Springs). Like when you’re at your resort. Or either of the water parks. Or any of the Disney parking areas. Do you really want to be completely stroller-less during these times? If you do decide to go with the Disney stroller rental, make sure you always hang on to your receipt and tickets. If the stroller gets lost, you can just go to the stroller rental area at the entrance of the park and get a new one. And if you “park hop,” you just take your stroller’s name placard and your receipt with you to get a new stroller at your second park of the day. If you like the idea of renting a stroller, but want more options than Disney’s ugly, hard plastic thing and want to keep it with you the entire time, there are several local companies that you can rent from. They they deliver to your location, whether it’s a Disney resort or a hotel in Orlando. They have a wide range of strollers to choose from, and you can even go to their store to see the selection in person. The strollers are described as easy to maneuver and have a protective overhead covering, and a “parent console” (which means a cup holder). Plus you get a free cooler with each rental. Unfortunately, they are pretty expensive. Single strollers cost $40-$50 per day, and double strollers cost $55-$75. This is another one of Disney’s preferred providers, and they deliver also will deliver your stroller to you. They were described as having a good variety of strollers that were easy to fold and that came with rain covers. According to Touring Plans, their strollers don’t include a parent console cup holder. That may seem like a small thing, but I could picture it easily being aggravating, especially for as much as you’re paying. Touring Plans also felt the instructions they provided were lacking. The rates are $40 – $45 per day (single strollers) and $50 – $65 for double strollers. Kingdom Strollers also rents full-sized cribs. Their strollers come in a nice, black, carry bag and you have to attach the wheels yourself. Touring Plans says they are more strict about their drop off and pick up times than the other rental companies. Also, they send you a text when our stroller is dropped off. They include a certificate from the company that cleaned and sanitized the stroller. Yet another of Disney’s preferred providers who is also to deliver. Their rates are lower than some of the other companies, with a single stroller costing $15 for the first day and $10 for every additional day, and a double stroller costing $25 for the first day and $12 for every day after. This company offers free delivery, BUT, unlike the above companies, they can’t drop it off with the bell hop. You need to receive it from them personally. They provide both single and double strollers that have rain covers and parent consoles. The strollers can easily be folded and stored, and comes with a complimentary tote bag. Their offer flexible drop off and pick up times. If I ever need to rent a stroller in Orlando again, I would rent from Baby Wheels Orlando. They had, by far, the most detailed instructions, they were incredibly flexible with pick up and drop off times, and they had the best selections of add-ons, many for free. They were not the cheapest company, nor were they the most expensive. They sent a text the morning we checked in confirming our stroller was there, and were extremely helpful when I needed them. Singles cost $30-45 for the first night, then $5 for each additional night. Doubles are $40-50 for the first night, then $5 for each additional night. If all these options are sounding too expensive for you, but you really want to rent a stroller, you might want to consider Apple Stroller. They only offer one style, but the strollers were reported as clean, well-maintained, and cleaned between each use. The single strollers cost $5 per day while the double strollers cost $7. There is also a $5 delivery fee and a $5 pickup fee for every rental. There is a minimum 3 day rental. So do you get what you pay for? Perhaps, but while reviews appeared mixed, I was surprised by how positive they were overall. One person described their stroller as “worn, but clean.” I suppose it depends on what your expectations are. This is the option that makes the most sense to me — although, to be fair, we always drive to Disney and have never had to deal with bringing a stroller on an airplane. Like I said earlier, our only experience is with little umbrellas, but I wouldn’t recommend doing that. At the very least, I would absolutely get a stroller with a canopy and a storage basket. This stroller comes fully assembled, aside from the front handle bar which is an easy clip in. When folded, its dimensions are 22 inches x 12 inches x 11 inches, with a weight of 10.8 pounds. It has a 33 pound weight limit, so it is definitely for babies and toddlers, not for an older child. Amazon reviewer summed up the pros and cons of this stroller and included a photo of their baby in it. In general, I really like this stroller and recommend it. 1. It’s the size of a back pack. It takes almost no space in the trunk. 6. My 3.5 month old can easily fall asleep in this. 5. back side is not adjustable so it doesn’t lay back. But some customers claim that it’s worth every penny. This stroller is perfect, it is fairly compact and easy to maneuver yet does not compromise on any features. We have been through a few strollers, and when our 2015 Uppababy Cruz was stolen, we researched again all the strollers on the market, and decided it was still absolutely the best stroller on the market for us. -Baby loves the seat! It is comfortable, and easy to put her in and out. -You CAN use this stroller with two children if you buy the standing board. I think this will be great for shorter trips around the neighborhood. I think this stroller is more appropriate for most families than the Vista. The Vista is considerably larger, but doesn’t have many additional features for 1 baby. Obviously, if you have two, you would need the Vista, but the Cruz is ideal for 1 baby. Personally, I am not convinced that 2 babies would like the seating configuration of the Vista, we will probably move to a side-by-side double stroller when we need to, but continue to use the Cruz for shorter trips where our older child can ride the standing board, OR put the younger baby in a baby carrier. -Don’t bother paying for the Uppababy Cup Holder, it wasn’t great. I am SO HAPPY I bought this stroller again, I wouldn’t have it any other way, no matter what my budget was! It’s PERFECT! 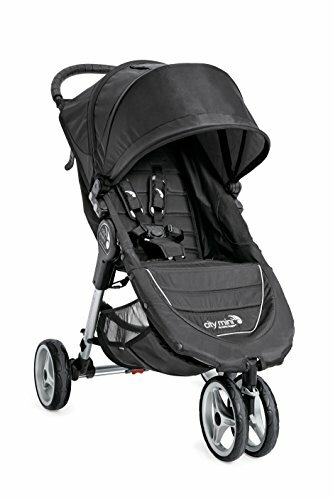 This lightweight, 3-wheel jogging stroller Lightweight Stroller has on-step folding, multiple recline positions, and a 50 pound weight capacity, so it can be used for older kids. It also has a UB 50+ sun canopy that can be adjusted for differing head heights. Amazon reviewer Dane Woodward bought the City Mini for her trip to Disneyland, which her sister purchased the Graco Aire3 Click Connect. My sister and I were both in the market for a new stroller. After lots of research, we both narrowed it down to two finalists- this stroller (2016 baby jogger city mini single) and the Graco Aire3 Click Connect. She ended up purchasing the Graco, and I purchased the City Mini. Since we couldn’t find any great comparisons of the two strollers online, I decided to write one. We each brought our strollers to Disneyland for a week and pushed around a 3 and 5 year old. 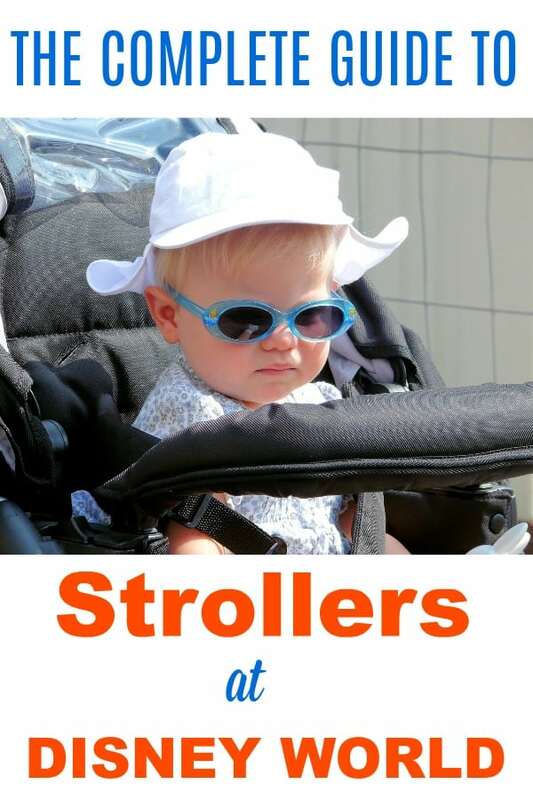 Both of the strollers fold the same way (so easy- one of the best features), push like a dream and maneuver very well, have big sunshades and the seats lay *almost* flat. We tested them side by side and they do lay back the exact same amount. – has a little indent where kids can rest their feet. Not ideal, but better than nothing. Overall, the Aire3 is a better value for the price. Especially since you don’t have to buy the parent consoles or car seat adapter separately. Graco found all of the features that were missing from the City Mini and added them to their stroller. It was very thoughtfully designed. However, I don’t regret my purchase at all, especially after pushing it for a week at Disney. It really does push like a dream, even one handed! I will add that both of the kids preferred riding in the City Mini, but they said that was because it was blue. I think the deeper seat and little footrest might have added to that. But who knows. 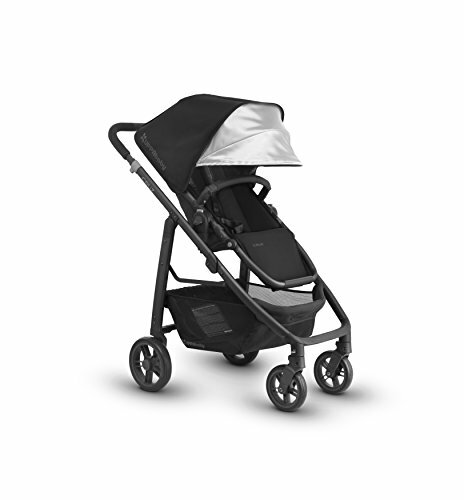 Bottom line is that the Aire3 is definitely a better value for the price, but you really can’t go wrong with either stroller. Also, in case anyone is wondering, the baby jogger glider board does work with the City Mini (your child just has to stick their head through the handlebar, which my daughter doesn’t mind), but does NOT work with the Aire3. Even though the City Mini got many rave reviews, there were definitely people who didn’t like this stroller. You can read more things J.K. disliked the City Mini stroller here. The 3D Lite is Amazon’s #1 Best Seller in the “Lightweight Baby Stroller” category and a good option if you don’t want to pay over $100 for a stroller. It has an aluminum frame, a 4-position recline, and holds children up to 50 pounds. It also has and adjustable, removable canopy with a flip-out sun visor, and storage basket that holds up to 10 pounds, plus a rear storage pocket. I will start by saying this is a great product. The price is a bargain for the good you’ll get, particularly if you’re a heavy traveller. However, the price also means that after a few months of really heavy constant use, you might need another. The second one will be just as worth it (after all, you could pay more for only one stroller with fewer great features). Our kid is now 3, and we’ve bought two. We are heavy airplane travellers (about 10-20 flights per year) and we have used this stroller on just about every one of those trips. We bought one, and after about a year of abuse by airline baggage people the closing fastener broke and one wheel was a bit squeaky, so we bought another one. Note that we bought the exact same stroller, because it has so many great features. – Full recline allows for easy naps. I recommend bringing a soft blanket or a small pillow to pad child’s head (see photo; if they lean their head over it will find only a bar rather than something soft). – The wheels are doubled and durable. They held up to desert goats heads and both extreme hot (110F) and cold (0F) climates. – We bought one when our kid was 1, and another when our kid was 2. He’s now 3 and it still works. He’s tall for his age (90th percentile). 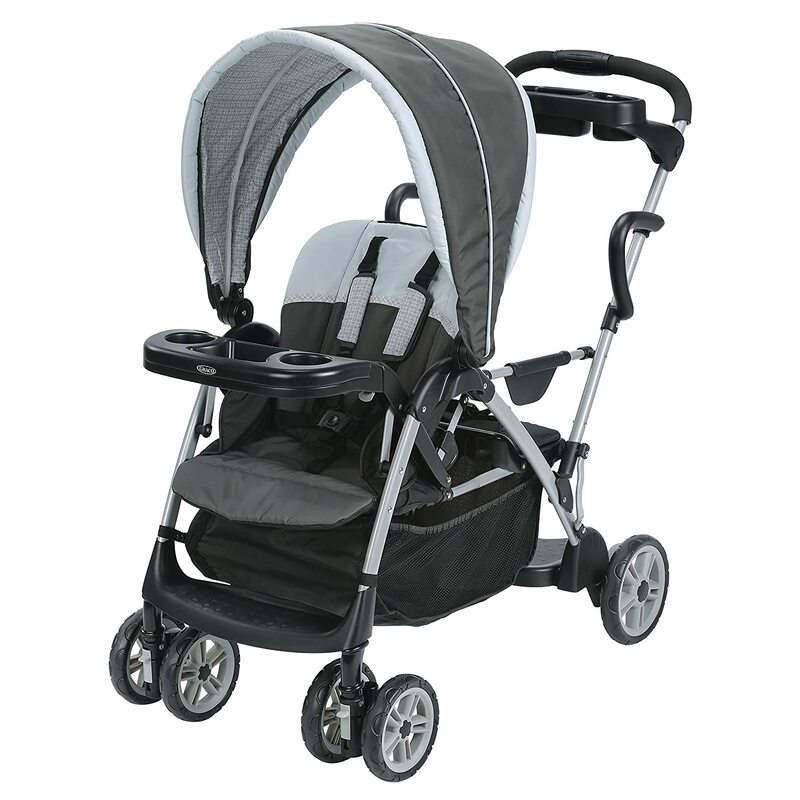 – Its one of the most light-weight strollers on the market. There’s a strong and easy handle to pick it up when it’s folded. The handle has indents for fingers; very comfortable to hold the stroller with one hand and carry it down a jetbridge. – Fits through security screens, and with some ease you can carry it, a toddler, and a carry-on in your hands all at once. – It has a foot rest, rather than letting feet dangle. – Its navigation is relatively straight on its own, so I have in the past been able to push kiddo with one hand and pull a large checked wheelie bag with the other at the same time. – The hand-pads are soft and comfortable for the push-er. – The sun shade can be pushed down to shield the child almost completely from the sun, like a little yellow cave, although this does make the back cloth flap hang weirdly. We often push the sun shade down and flip the back flap over the top for ventilation. – There’s netting underneath to hold stuff. The netting has a lot of space but getting stuff in there can be tight if you have one big item; it won’t hold a chock-full backpack. It *would* hold a few large books, a few stuffed animals/blankets, and a typical purse plus a water bottle. – The straps are easy to adjust and fasten. – The brakes simple to turn on/off with one foot. – The crotch strap has padding all around; you can fasten the straps and then pull a big, soft, extra pad flap over it. Our son always complains about crotch straps, but doesn’t complain for this stroller. – The color is beautiful and cheerful (we got yellow). Great for boys or girls. – Easy operation with a toddler. You can close it with one hand+one foot (generally; of course it’s easier with two). To close it you need to push a lever down with your foot (about 10-12 inches off the ground), then pull a handle with your hand. It will generally snap into place but occasionally requires one more push or step to snap it closed. – Has a nice “snacks” pouch in the back stroller flap that lies behind child’s seat, to put munches, a book, or your boarding pass in. – The stroller functions both as a backpack holder and a stroller; so long as your kid weighs almost as much as your carry-ons, we usually walk around with the carry-ons strung over the handle bars. – There are no covers on the wheels, so mischievous toddlers might drag their feet on them and make it harder to push. – If you hang too many really heavy bags on the handlebars, the stroller can fall backwards. This can be easily solved by, well, not hanging really heavy bags on the handlebars. – Cup holder is useless. It’s too skinny for a normal-sized water bottle, though it fits a coffee cup. However, if you put a coffee cup in there your toddler will sense that you’ve done so, beeline for the stroller, and pull the whole stroller down, spilling coffee all over the floor and will attract judgemental onlookers who have never had kids. Both your toddler and the judgers will come like moths to the flame. Incidentally, there’s an insignia on the cupholder that seems to imply not to put hot drinks in there (I agree, in principle). This stroller is great for anyone looking for the perfect travel stroller, even if it’s just for one flight —- the price is low, and the product is great. Most of the reviewers who disliked this stroller had issues with the seat, saying that it was too small and had an uncomfortable angle and a lack of cushioning. You can read all the 1-star reviews for the 3D Lite Stroller here. Personally, I’d be hesitant to bring a double stroller to Disney World. You have more autonomy with two smaller strollers, and having the option of bringing one kid back to the room while the other parent stays at the park with the other kid. 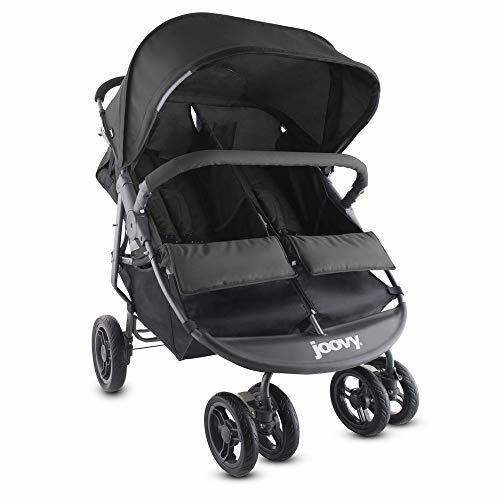 The Joovy Scooter X2 double stroller boasts a narrow design (30 inches wide) that allows you to have 2 kids ride sid-by-side and still go through a standard doorway. It also claims to have the largest storage basket and canopy on the market, plus mesh pockets in each seat for holdingtoys, snacks or sippy cups. This stroller accommodates 90 total pounds of kid (45 pounds each). It has a one-hand fold, canopy with peek-a-boo window, individually reclining seats, two cup holders for parents, and two zippered pockets. The weight of the stroller itself is 32 pounds, and the price is a pretty reasonable one for a double stroller. I LOVE this stroller. My daughters are 14 months apart. I have the Britax stroller and was expecting to buy the double stroller until I found out they discontinued the infant car seat adapter. The stroller is easy to push with both hands and manageable with one. I had to hold my 2 month old while pushing my 15 month old and I managed ok. It is heavy to load in the car. When you fold it down, it collapses fast and hard but once you get the rhythm you can control it. The sun shade is one big one instead of two. Heavy to lift over curbs and bumps unless you place foot on wheel. Great price! Especially when you need to budget because second baby was a surprise. Huge basket for baby bags, toys, etc. Cute pockets and mesh behind seats. There are cons but as I mentioned, for the price it is great. The Baby Jogger 2016 Summit X3 was named “Amazon’s Choice” in the Baby Jogger Double Stroller category. It weighs 47 pounds, folds in one step, has hand operated rear brakes, and large adjustable sun canopies with peek-a-book windows. This is the stroller I settled on when looking for a jogging stroller to accommodate my 2.5 year old and 4.5 year old for runs when I don’t have childcare available. 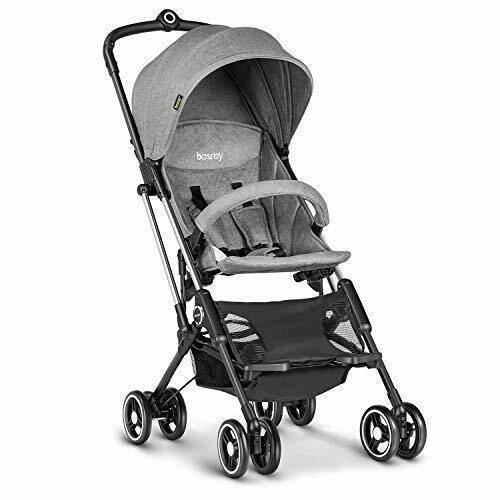 I looked at several models and narrowed it down to this stroller and the Bob FLEX Duallie. I’ll admit to being a bit in favor of Baby Jogger products since we own and love our City Select, but I tried to be fair when making my choice. – center support bar between the seats — this is something you may not notice at first but when you are dealing with a child on the upper end of the height/weight, the lack of center support in the Bob can cause the seats to sag toward each other. – one step fold — similar to the City Select, it takes one step to fold. Boom. – handle bar is NOT FOAM — gah, I hate foam handle bars on strollers. Especially for sweaty hands. It degrades and comes off over time, kids pick at it, just not my favorite. This is a nice rubbery material. – hand break — Bob doesn’t have one on the FLEX (it does come on the pro I think). We have lots of hills on the multi-use paths we use, so this was a big plus for me. – solid build — it feels quality when you fold and unfold, push, lift, etc. – sizable storage basket — typically I access it from the sides. I can fit my bag or backpack, two small cooler bags, two kids towels, and a few more odds and ends at the zoo. Plenty of room. – deeper seat — this is not something most people notice or think of, but the seat is deeper than the Bob FLEX (from knees to bum) — my older son found this far, far more comfortable than the Bob because in the Bob he was practically sliding out of the seat due to the depth being shorter. – can use a single stroller parent console instead of specialized double console — I was able to use the single console from our City Select because of the center bar — it doesn’t need to reach all the way across the double width. – easy recline — my kids are old enough that we don’t use this feature much, but the recline is easy to use one handed and goes nearly flat. – foot break — works well, and I have no issue with it due to wearing running shoes when I use this stroller, but it isn’t as smooth/easy as the Bob. I know it would be hard to take the break off in flip flops. – belly bar and snack trays — we are likely choosing to forgo these because you have to remove the entire bar to get children in and out of the stroller, instead of moving it to the side like on the City Select. Plus, you have to buy the bar AND the trays separately, adding quite a bit to the cost. – canopy does not adjust upwards for taller children — I was used to this feature on the City Select and a bit sad that it wasn’t possible on this stroller. – air filled tires — while its likely these are “better” for a jogging stroller, the foam filled tires that never need filling on my City Select spoiled me. I’ll have to keep an eye on these tires to make sure they stay full. – weight — Its a double jogger. Its going to be heavy. Personally, I don’t think its that heavy at all but I have a friend who thought it was. Its a bit more than the Bob FLEX Duallie, but in pushing both I didn’t notice. – “taller” than the Bob FLEX Duallie — I’m not sure how to explain this, but the stroller is a bit more upright, whereas the Bob sits lower. This is NOT a problem for me, but some seem to have issues with it tipping backwards. We have not experienced this even with both boys reclined, but something to note. I personally like the way it sits, but I thought I would mention it. The only issue we have with it being a bit taller is that it is hard for my 2.5 year old to get in and out of on his own, but he is short for his age. Overall, after trying out both the Bob FLEX Duallie and the Baby Jogger 2016 Summit x3 Double, the Summit was a better fit for my needs. 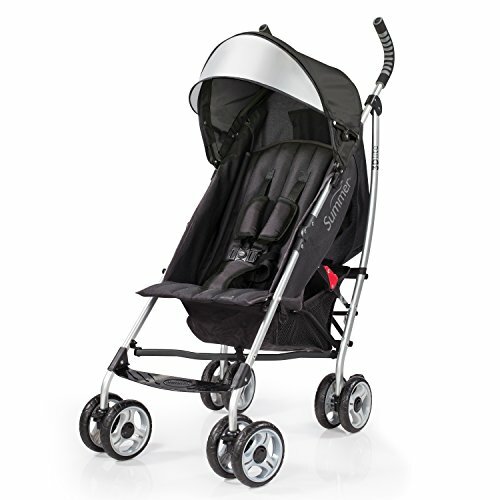 Interestingly, the few negative reviews for the Baby Jogger 2016 Summit X3 involves issues with the tires: they wobbled or wouldn’t stay inflated. Click here to read the negative reviews of the Baby Jogger 2016 Summit X3. Zoe is a family-owned business with 4 kids (including a set of twins!) so they know a thing or two about what a double stroller needs. 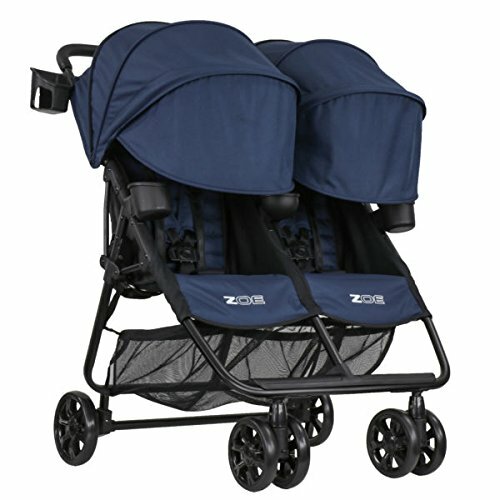 The ZOE XL2 weights 16 pounds, which is amazingly light for a double stroller. It folds with one hand and includes two child cup holders and a parent cup holder, plus a child snack cup, double belly bar, removable padded harness strap covers, and a 4-panel canopy set. Amazon reviewer IS raved about this double stroller and posted several photos. UPDATE: I just got back from a 2 week vacation in a very hot place. First, I got complimented on how easily it maneuvered through the airport with one hand and it’s amazing one handed fold. The stroller was used on all types of terrain: street, grass, sandy beach. The fabric wipes clean easily for most stains. My 20 month old would climb in it easily on his own and loved sitting in it. We used it multiple times a day on long walks. The vents were perfect to help him stay cool. There is a hidden pocket in the back where it opens to vent which was very convenient. The basket underneath fit a lot of fairly heavy stuff. Overall, this was the best money spent! I have told numerous people about it. Such a fabulous stroller!!!!! Although the XLT didn’t fit in the overhead, it was easily checked at the gate. My biggest mistake was not purchasing the travel bag for it! I will be buying it for my next trip for sure! Thank you Zoe company!!!!! I just received this stroller a few hours ago and I am in LOVE with it! I ordered the XLT in aqua for $99. I was probably one of their most nightmare customers because I contacted them multiple times to ask silly questions! First, I purchased the qbit+ for $300. It was the stroller I dreamed of before I was even pregnant with my 2nd. I was very disappointed in the quality of the fabric and felt that it looked cheap for the money spent. I absolutely LOVED the way it folded and how little room it took up. Both the recline and canopy were nothing to write home about. My 3rd and final purchase was the Zoe… I wish I saved myself the headache and got this one first! BEST $100 spent!!!!!! I will attach photos to help others in the process… I chose the XLT because it seemed it had the best recline vs the XL1 and of course the price was the deciding factor. I literally YouTube’d and Instagram’d for hours after purchasing trying to figure out if it was a mistake (because I became like Goldilocks and her 3 bears). Then, I realized Amazon gave me a delivery date past my travel day… I freaked out yet again and sent another email to them… rest assured you will get the stroller by Tuesday at the latest they said. It arrived today, 2 days after I placed the order!!!!!! 5* service right there! The stroller is light, I didn’t attach the 3 cup holders or the belly bar. My 4 year old and my 20 month old both sat in it and looked comfortable. At full recline and feet up it’s basically flat (see photo). There are 2 mesh vent windows which will be perfect for hot climates. The ride is smooth and my 4 year old easily pushed it herself. Basket size is pretty amazing! I put my laptop for reference to show how big it is and I imagine it will hold quite a lot. Canopy is awesome!!!! I’m not sure if the fabric has SPF but at least naps under the sun won’t be an issue! The fold couldn’t be easier! Pull a handle and it folds right in half. Where has this stroller been the last 4 years? I wish I purchase the $30 stroller bag because I’m going to cringe checking it at the gate, but now it’s too late and I won’t get it before we leave. Another thing is the assembly… I’m pretty sure my 4 year old could do it herself. At first the front wheel locks were stuck (so I sent an email) but before they responded I was able to figure out that a little force went a long way and problem solved! Only things that need to be assembled are the wheels, brake, cup holders and belly bar. Overall, I am VERY happy with this stroller and feel like I couldn’t find anything better for the money! I am also happy to give money to a family owned business! Once I travel I can update my review if necessary but for now I am thrilled! I think that I will use it for everyday after our trip. Frankly, the bugaboo is big, bulky, pain to take apart and takes up half the trunk of a large SUV. Sit and stand strollers Sit are tandems that have a regular seat in the front (which usually can also take an infant car seat) and a standing platform or small bench seat in the back for an older child who wants to ride along. They work well for kids that are about 3 or 4 years apart in age. I’ve never used a sit and stand stroller, either for Disney World or life in general, so I can’t give you my own opinion about them (except to say that they look pretty fun to ride if I were 4 or 5 years old). I went over to the DisBoards to see what other parents had to say. We really like the sit and stand. I know it will be harder to push, our trip last year was just with our then four year old in a umbrella stroller, but it’s the best option for us. This year DD is 5 and DS is 8 months. DD wouldn’t nap in the stroller anyway so we didn’t really need the double, and I was worried DS would be napping and DD getting in and out would wake him (we tested one at BRU). If you have heavier kids (both my kids are under 25% weight for their age so it’s a bit easier to push) or if your younger one is older it probably wouldn’t work as well, the front seat really isn’t huge. But if you have one younger one (probably under 2) and the older one won’t nap in strollers then it may work better. For the record DD loves the sit and stand, she doesn’t have any issue climbing in and out and thinks the seat is comfortable. I personally don’t like the sit & stand strollers. We had the Graco Grow With Me stroller for awhile. It worked ok when my daughter was still in the infant seat attached to the top seat and my son was 2.5/3 years old in the front seat. It is super long, like driving a bus, and really heavy. It would not be fun to fold up and carry into buses or monorails. The front seat is really short. My daughter’s legs were nearly dragging on the ground by the time she was 18 months. You can not recline the front seat for the child to nap without covering the bench seat. The bench is awkward to get in and out of because the child has to duck down under the parent tray that is attached to the handle. The sun shades are barely big enough to cover their faces. The storage basket is also very difficult to get into. You have to pop the bench seat up to access everything. The Graco Roomfor2 is Amazon’s Choice for sit and stand strollers. It holds 2 children up to 50 lb each, accept all Graco Classic Connect infant car seats, has a padded bench seat, and a one-hand fold with a storage latch. I have a 3yr old and a 4month old and its perfect! I was a bit worried to purchase a double stroller since most double strollers are bulky and we have a Honda Accord so we needed something to fit comfortably in the car. In my opinion this was the best baby purchase i have made for both kids so far. A whole lot easier to travel to the park walking now with the Roomfor2. Worth the purchase! 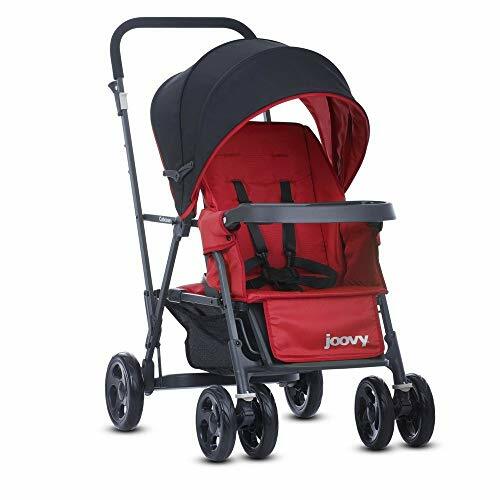 The Joovy Caboose (which also comes in the colors of Appletree and Amber) has a stand-on platform and rear bench seat for the older child, a 3-position front seat recline, universal car seat adapter, and an easy trigger fold design. This fits in the trunk of my Ford Fusion (hence why we bought it). The carseat is a Graco Snugride 30 Click Connect. Its a great little stroller for the price, and we purchased a Too Seat to go with it. My son is 3.5 years old and 30lbs. To shade the back seat from the sun, we use a receiving blanket wrapped around the bar and secured with clothes pins onto the back of the sunshade. It doesn’t have cup holders, which is a downside, and is not good for festivals (we bought a bigger one, too) but it fits well in our Fusions trunk so that’s what we wanted! 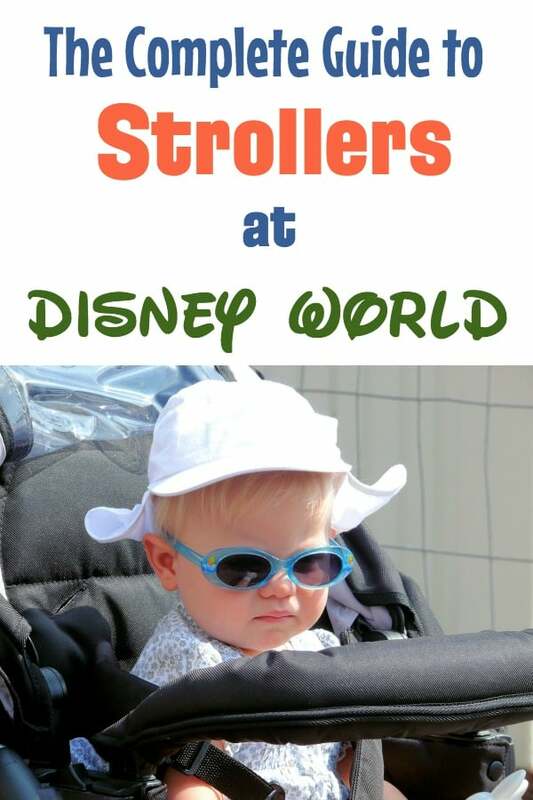 What has been your experience with using strollers at Disney World? Do you rent or bring your own?